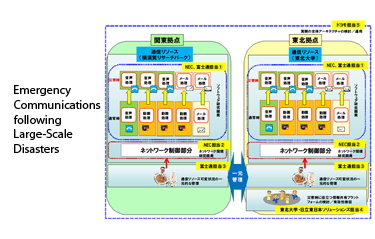 Researchers from NTT DoCoMo, Tohoku University, NEC, Hitachi East Japan Solutions and Fujitsu have set up a joint test bed to examine network resiliency issues during major disasters such as the Great East Japan Earthquake. The test environment has been set-up in the Yokosuka Research Park and at Tohoku University. The idea is to enable more dynamic network control for dealing with priority mail and voice calls when congestion spikes above a certain threshold. 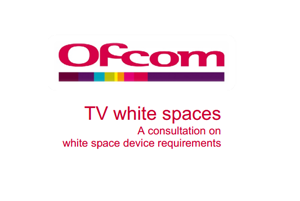 Ofcom, the official telecoms regulator for the UK, published detailed proposals for consumer devices using "white spaces" spectrum. Ofcom said its framework will ensure that the devices do not interfere with existing licensed users of the spectrum, which include DTT and wireless microphone users. The idea is to allow white space devices to operate without the need for a licence. New legislation is needed to support this proposal. Ofcom is seeking public consultation on the issue. Ed Richards, Ofcom Chief Executive, said: "From rural broadband to enhanced Wi-Fi, white space technology offers significant opportunities for innovation and enterprise in the UK. "It also represents a fundamentally different approach to using spectrum by searching and recycling unused gaps in the airwaves. This could prove critical in averting a global spectrum capacity crunch, as consumers demand more bandwidth over different devices." Pacnet, which operates the EAC Pacific subsea cable system, is providing an Ethernet International Private Line (EIPL) service to interconnect NEC Big Globe's data center in Japan with the Any2 Internet Exchange in Los Angeles. EAC Pacific is part of the $300 million Unity cable system built with five other global telecommunications and technology companies. Pacnet is the largest investor in Unity and operates two of the five fiber pairs in the cable system independently. The two fiber pairs, collectively known as EAC Pacific, stretch over 9,600 kilometers and provide up to 1.92 Tbps of capacity across the Pacific Ocean. Google announced a $200 million expansion of its data center campus in Council Bluffs, Iowa, bringing it total investment in the complex to over $1.1 billion over the past four years. 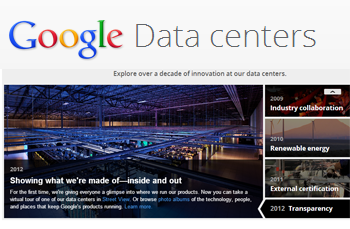 The Google data center in Council Bluffs currently employs more than 130 workers and houses computer systems and associated components that support services such as Google Search, Gmail, Google Maps, and new products including Google+. BT launched a trial of 10 Gbps XGPON access technology over a live network in Cornwall. 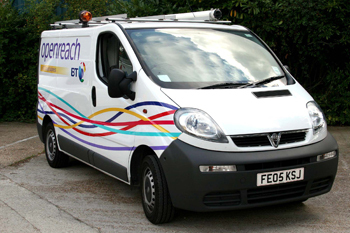 The trial, which uses equipment from ZTE, runs in tandem with the company’s existing 330Mbps service on the same Openreach fiber. Cornwall based engineering firm Arcol UK Ltd. is connected by a direct fiber link from its offices to BT’s exchange in Truro, and is the first business in the country to enjoy the record-breaking speeds. Until recently, Arcol’s 40 staff had shared a 1.5Mbps internet connection. BT said the demonstration aims to show how even faster speeds could be provided over Cornwall’s new fiber infrastructure in the future by upgrading the electronics at the exchange and in user premises. Cisco will provide $2 million over 10 years to establish a Research Chair in Mining Solutions at the University of Saskatchewan. The sim ti to support research, development, and innovation in the use of transformational business architectures, technologies, and solutions for the mining industry in Canada. Networking can play a transformative role in applications such as remote control of robotic mining equipment, monitoring critical equipment parameters. seismic activity and tunnel closure rates, and tracking ventilation air flow rates, air quality, and biometric data on human workers. 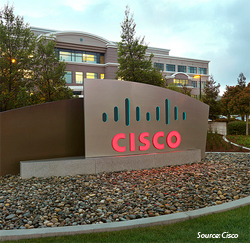 Cisco will also donate $2 million over 10 years to establish a Research Chair in e-Governance at the University of Regina. Here the aim is to help governments to more effectively use technology to drive collaboration, productivity and efficiency in the public sector in Canada. 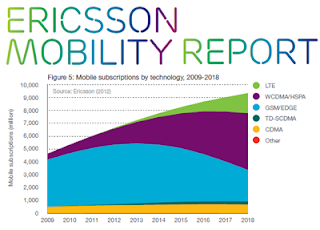 Mobile data traffic doubled between Q3 2011 and Q3 2012, and is expected to grow 12 times between 2012 and 2018, according to Ericsson's newest Mobility Traffic and Market Report. This equates to a compound annual growth rate (CAGR) of around 50 percent between 2012 and 2018. Smartphones already account for 40% of all device sales worldwide in Q3 2012 and the rapid mobile data growth forecast is tied largely to the growing video traffic to smartphones. Based on the latest operator data, Ericsson finds that online video is already biggest contributor to mobile traffic volumes, constituting 25 percent of total smartphone traffic and 40 percent of total tablet traffic. "Expectations of mobile-network quality have been elevated by the availability of smartphones and tablets that have changed the way we use the internet. Mobility is becoming an increasingly significant part of our daily lives; we always have devices within arm's reach, allowing us instant access to information, entertainment and social interaction," states Douglas Gilstrap, Senior Vice President and Head of Strategy at Ericsson. Total mobile subscriptions are expected to reach 6.6 billion by the end of 2012 and 9.3 billion by the end of 2018 (not including M2M). China accounted for about 35 percent of net additions during Q3 (+40m), followed by Brazil (+9m), Indonesia (+7m) and the Philippines (+5m). LTE is the fastest-developing system in the history of mobile communications in terms of buildout and uptake. Ericsson forecasts around 55 million LTE subscriptions at the end of 2012, growing to an estimated 1.6 billion in 2018. WCDMA/HSPA networks continue to grow faster than LTE in terms of absolute numbers, adding 65 million subscriptions in Q3 2012 compared with 13 million for LTE. Total smartphone subscriptions will reach 1.1 billion by the end of 2012 and are expected to grow to 3.3 billion in 2018. The EchoStar XVI satellite built by Space Systems/Loral (SS/L) was successfully launched and placed into geostationary transfer orbit by International Launch Services (ILS) using a Proton Breeze M rocket from the Baikonur Cosmodrome in Kazakhstan. EchoStar XVI is an all Ku-band satellite with spot beam transponders and coverage of the continental United States.It uses SS/L’s 1300 spacecraft bus and will be located at 61.5° west longitude, providing Direct-To-Home (DTH) broadcast services to DISH customers in the United States. 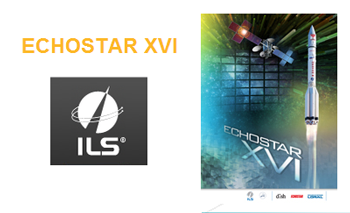 This marks the 5th EchoStar satellite to be launched on ILS Proton. EchoStar XVI will be fully leased to DISH Network for the delivery of direct-to-home (DTH) broadcast services to DISH customers in the United States. , a 20-kilowatt satellite that weighs more than 14,700 lbs. fully fueled. Oncore IT, a cloud Managed Service Provider (cMSP), has deployed Brocade VDX 6710 and 6720 Data Center Switches and Brocade VCS Fabric technology at its Tier IV data centers in London and Amsterdam. 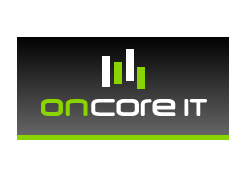 Specifically, Oncore IT has created two 10 GbE fabrics – one in London and the other at Oncore IT’s replicated data centre in Amsterdam – using eight Brocade VDX 6710 and two Brocade VDX 6720 switches. The equipment was supplied by Brocade partner, NetSumo. "At peak times, network traffic was becoming a little ‘bursty’ and we would experience some packet loss that affected performance. The issue was most pronounced when servers were accessing our HDS BlueArc [NAS/iSCSI] storage platform over the network. Latency was too high and throughput wasn’t truly wire-speed. The upgrade to the Brocade VDX-based Ethernet fabric has solved this issue plus given us a scalable platform for future growth," stated Mick Caney, Oncore IT’s technical lead. Sandvine introduced a Routing Efficiency Dashboard as part of its Network Analytics library. The new dashboard provides a detailed look into the costly routing and transit links and interconnect relationships that affect operational expenses on fixed and mobile networks. Sandvine said its goal with the Routing Efficiency Dashboard is to identify high-demand traffic using high-cost transit links, allowing communication service providers to reroute traffic toward more appropriate routes such as private peering. Network operators can use the data to capture cost savings on these routes. The dashboard also enables the operator to measure the quality of links based on their ability to carry rich media. "Large CSPs have many complex peering and transit arrangements and their Border Gateway Protocol (BGP) designates the best available routes for subscriber traffic. Linking route-knowledge to application, cost and quality is an essential part of optimizing network operations, reducing costs and improving subscriber quality of experience," said Don Bowman, CTO, Sandvine. "Sandvine's Routing Efficiency Dashboard paints a bullseye on the inefficient and over-worked transit links so CSPs can manage their investments to enhance network performance and increase quality of experience for subscribers."